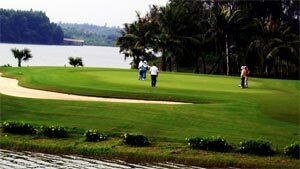 Welcome to Vietnam Golf, specialists in quality golf holidays, golf tours and spa holidays to Vietnam. Catering for golfing and travel enthusiasts, Vietnam Golf offer golfing holidays with tours around the beautiful country of Vietnam. Being a particularly safe country, Vietnam is also an ideal destination for women golfers. Golf is probably not the first thing people think of when planning a vacation in Vietnam. 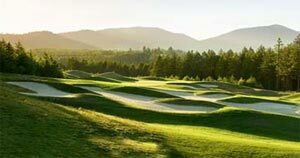 Yet Vietnam is full of surprises, including fantastic courses which may be among the best kept secrets in the golf world. VIETNAM has now been recognized as one of the top golfing destinations in the South East of Asia - with finest golf courses and superb accommodations. There are currently seven courses (mostly foreign-owned and internationally designed) and a further six under construction, and the fees are now lower. If you're looking for a great place to get away, relax and enjoy some superb golf then you need to look no further than Vietnam. With its fascinating history, ancient culture, superb climate, and now its offering of fantastic championship golf courses designed for the golfer on and off the course, Vietnam is the 'next Thailand' when it comes to golf tours in the Far East. We offers fast & friendly online tee-time bookings for golf courses in Hanoi,Hatay, HaiDuong, Hochiminh city, Dalat , PhanThiet, DongNai, Song Be. You can enjoy your golf rounds, at competitive price, from our carefully selected list of top golfing destinations in Vietnam. We guarantee you'll have a great time with us here in Vietnam Golfer or not, our company has plenty to offer to provide you with a 'fantastic holiday'. The local hospitality and friendliness prevailing on the streets manifests in the courses.